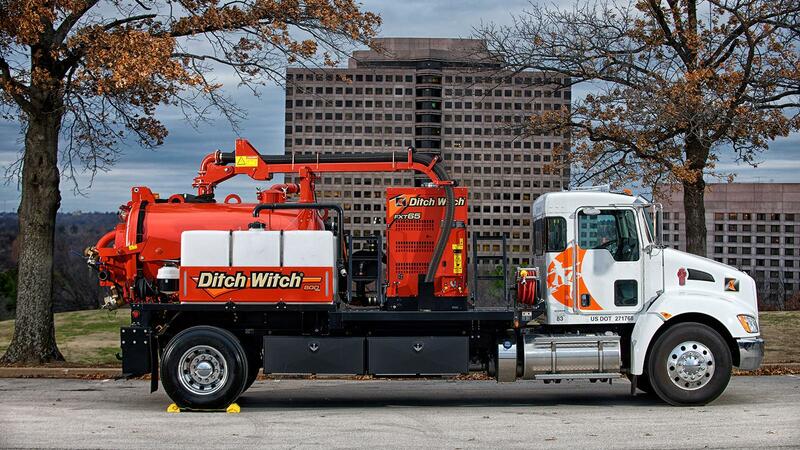 The Ditch Witch FXT65 truck vacuum excavator is an exceptionally versatile machine with the power to perform a wide variety of tasks, especially larger jobs in difficult-to-access locations. 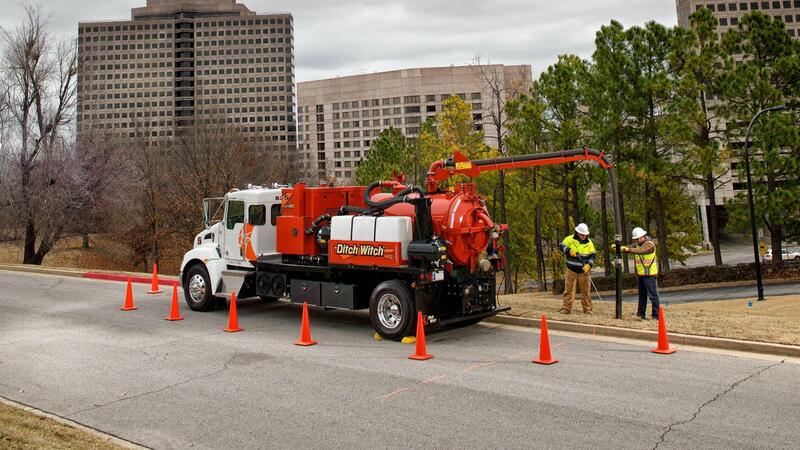 With 1,215 cfm (34.4 m3/min) of suction power and a high-pressure water system with a 5.5 gpm (21-l/min), 3,000-psi (207-bar) water pump, the FXT65 has more than enough power and suction for soft excavation tasks such as potholing or large cleanup jobs. 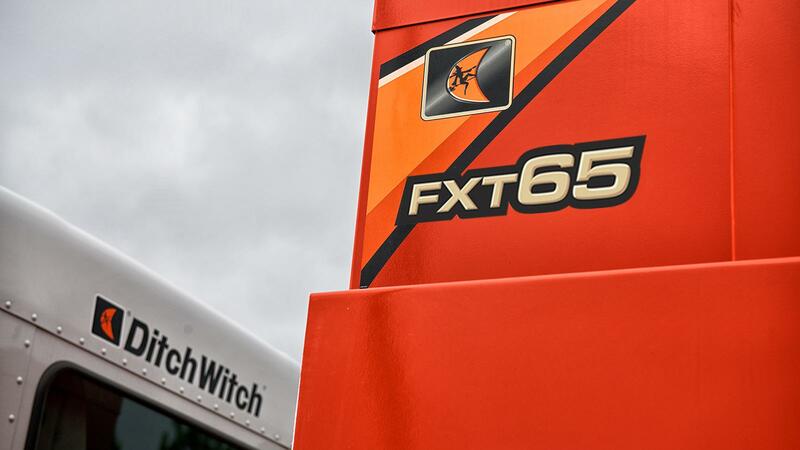 The FXT65 is available on a Class 6 or 7 single-axle of Class 8 tandem-axle truck. Remote-fill water tank allows for easy filling and prevents siphoning back into the water supply. 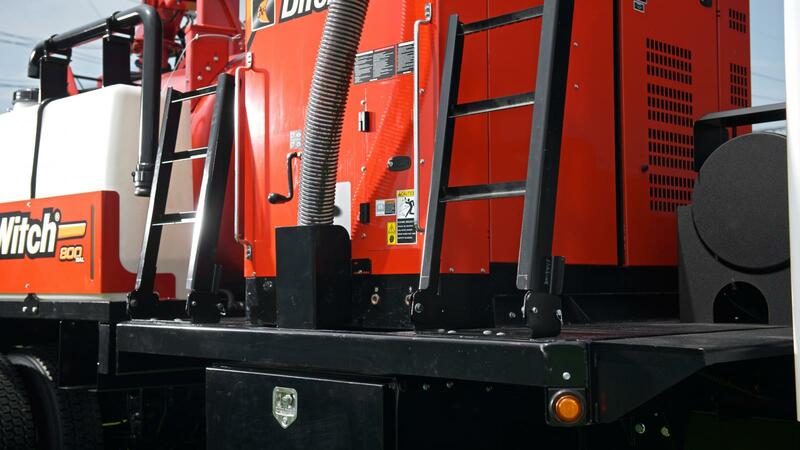 Integrated tool rack on door and underbody hose storage help simplify operation. Ladders provide easy access to truck bed and can be stowed when not in use. 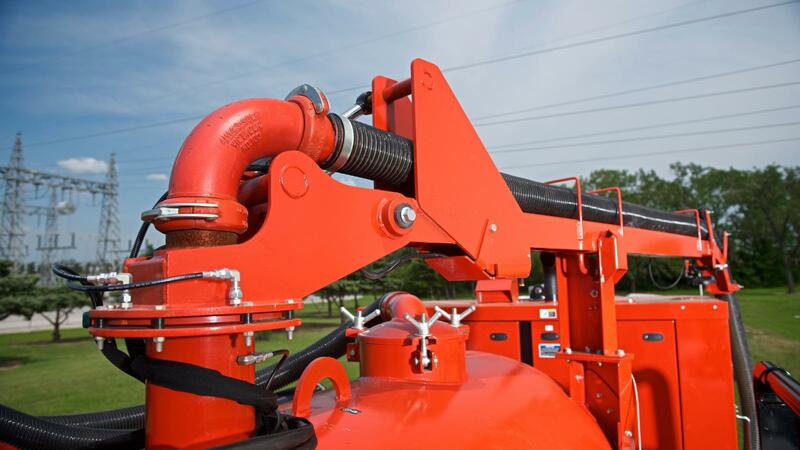 Optional hydraulic boom extends to 14 ft (4.3 m); saves labor, time and reduces operator fatigue. 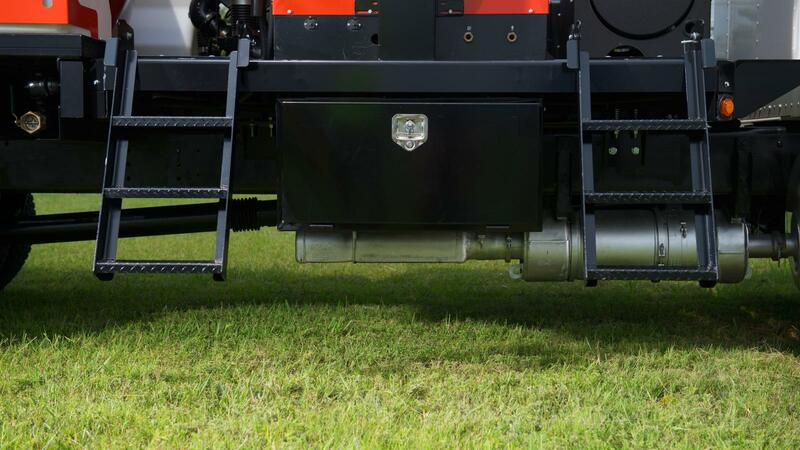 Designed specifically for mounting on truck frame rails, allowing system components to flex independently of truck, for maximum structural integrity. Reusable, 0.5-micron vacuum filter and a blower relief valve air filter provide the industry's best filtration; optional cyclonic filter cleans the air before it reaches the filter, minimizing maintenance. 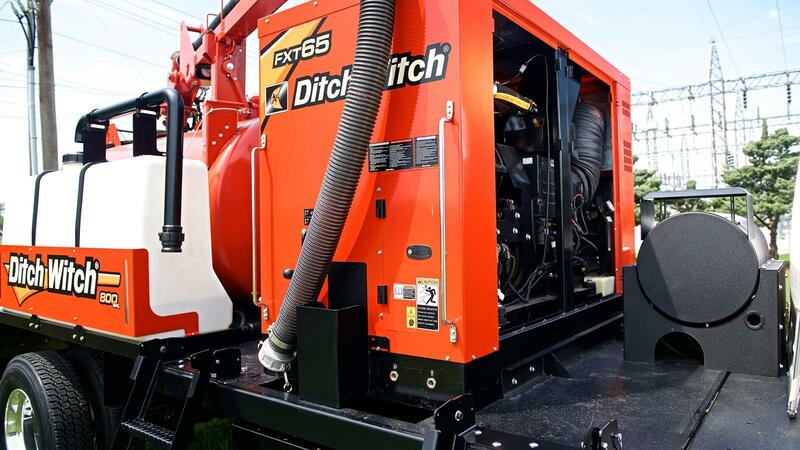 At 82 dBA, the FXT65 is the quietest in its horsepower class; fully enclosed, insulated and lockable power pack protects major components from weather and vandalism while leading the industry in noise reduction. 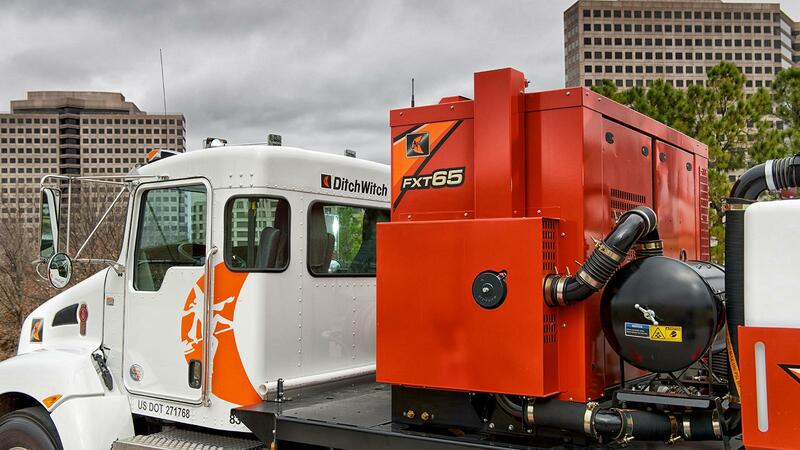 Equipped with a 74-hp (55-kW) Deutz® diesel engine, the FXT65 offers 1,215 cfm (34.4 m3/min) of suction power and a high-pressure water system with a 5.5-gpm (21-l/min), 3,000-psi (207-bar) water pump. 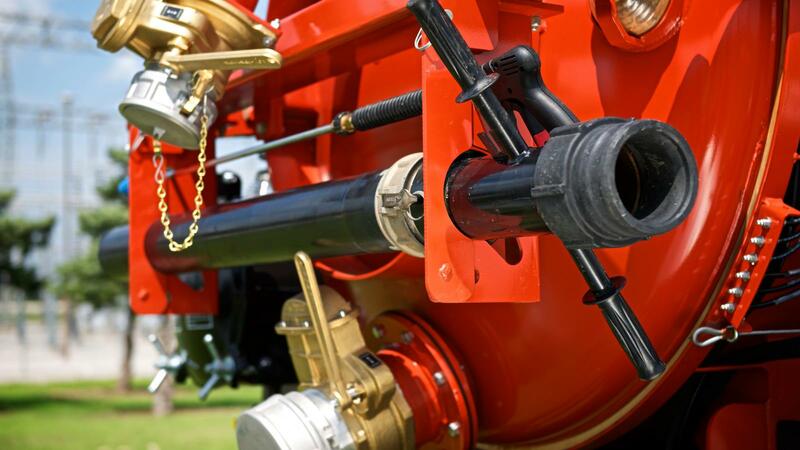 Optional heater keeps water system from freezing in inclement weather and increases production in tight soils. 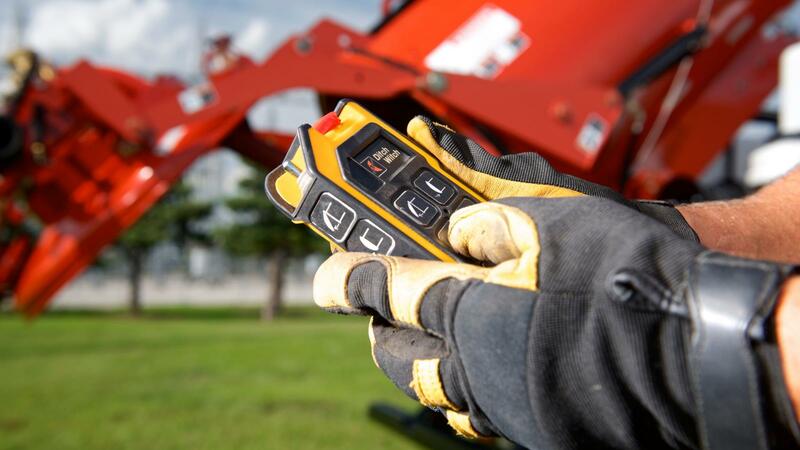 Optional reverse-flow feature enables quick and easy offloading of spoils. 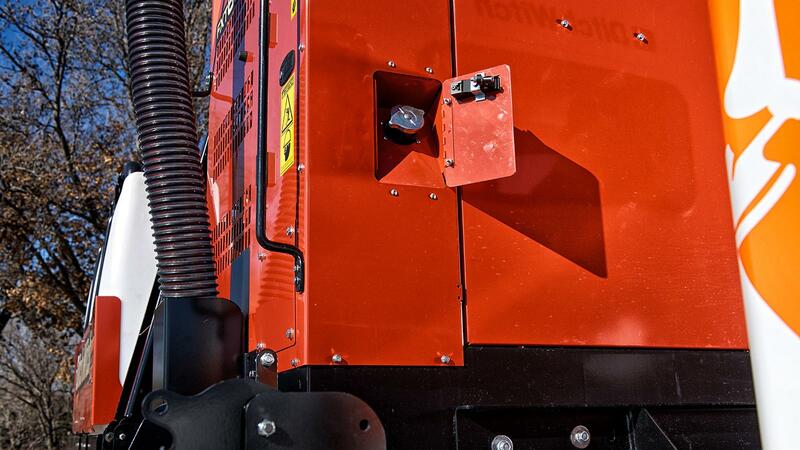 Autoclutching feature disengages the water pump when water is not in use, allowing full system power for suction. 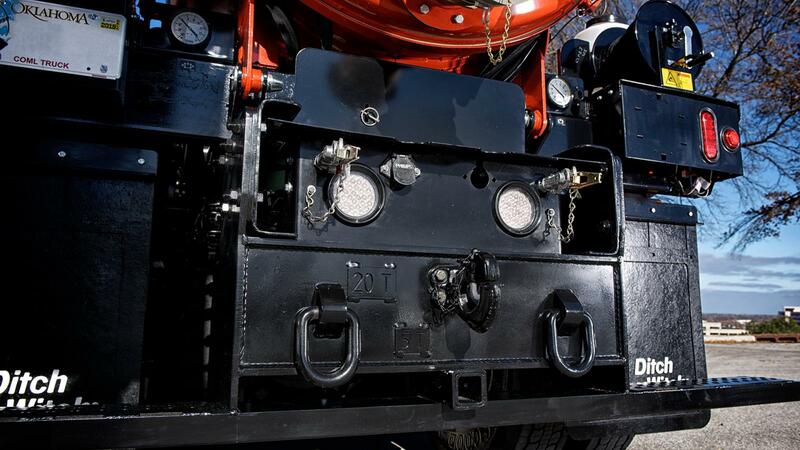 Mounts to single-axle truck of your choice, new or used, so you can control the level of initial investment and customize with toolboxes and support equipment; complies with all truck manufacturers’ requirements. Choice of 500-gallon (1893-L) spoils tank with 200-gallon (757-L) water tank or 800-gallon (3028-L) spoils tank with 400-gallon (1512-L) water tank to meet the requirements of virtually any size cleanup job.